Seemingly, from out of the blue ... 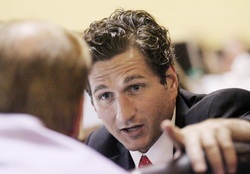 Independent Candidate Blake Filippi defeated an entrenched representative ... becoming just the second "Independent" Legislator elected in recent Rhode Island History ... So, local political maverick, or .... More? 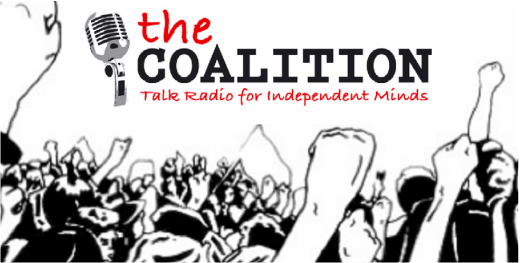 There's a lot more ... On this edition of The Coalition, we explore Blake's Libertarian background ... His extensive work in Civil Rights, The Tenth Amendment, and most recently, Constitutional Law re: Legal Standing of the Citizenry. Plus! His uncanny ability to anticipate the Privacy Issues that are now laid bare in the wake of Governor Raimondo's Bridge & Toll Legislation. ​Tune in to AM630 & 99.7FM every Saturday night at 6 or listen live on your PC or mobile device. The proposed language in the 2013 NDAA and the recent Feinstein Amendment do not fix the multiple Constitutional infirmities in section 1021 of the 2012 NDAA. Unfortunately, Congress is now poised to reaffirm the President’s ability to prosecute persons within the USA though military tribunals, potentially allow continued indefinite detention without charge or trial, and do nothing to limit the practice of extraordinary rendition. While the indefinite detention language in the 2012 NDAA purports to allow no Due Process whatsoever, it is tempered – inadequately tempered — by Supreme Court precedent that requires limited Due Process rights for those designated as enemy combatants subject to indefinite detention. By way of background: in Hamdi v. Rumsfeld, the Supreme Court ruled that Hamdi – a U.S. citizen captured on a foreign battlefield and held indefinitely within U.S. jurisdiction – generally possessed the right to a meaningful opportunity to challenge his enemy combatant status before a neutral military decision-maker. In Boumediene v. Bush the Court then further defined the due process rights of enemy combatants captured on a foreign battlefield and held within U.S. jurisdiction. They possess Habeas rights in an Article III court to review the neutral decision-marker. However, as a review of a military decision, the Habeas procedures for continued indefinite detention are shockingly lacking and inadequate compared to normal criminal proceedings. There is no 6th Amendment jury right. Hearsay is freely admissible, i.e. the 6th Amendment right to confront right to face accusers is absent. The burden of proof is not beyond a reasonable doubt, not clear and convincing evidence, but a mere preponderance of the evidence. That is more likely than not based on hearsay that someone “substantially supported” a terrorist organization. Then came the NDAA. The NDAA purports to extend the President’s war powers to the U.S. homeland. All persons within the USA — citizen and non-citizen alike — would now be subject to the Law of War with regards allegations of supporting terrorism, including the same indefinite detention limited Due Process rights articulated in Hamdi and Boumediene, as well as military tribunals and extraordinary rendition. After the obvious outcry from citizens and States alike, Congress is now poised to pass the 2013 with what at first blush appear to be fixes to the indefinite detention provisions of the 2012 NDAA. However, the proposed text, and the recent Feinstein Amendment, may do little to restrict the President’s homeland war powers. First, section 1033 still speaks to ‘detention’ of persons within the USA – as in indefinite detention without charge or trial. And the Constitutional rights purportedly preserved by section 1033 of the 2013 NDAA are likely only the limited protections that are already judicially required under Hamdi and Boumediene for indefinite detention; the right to a limited Habeas review in an Article III Court wherein the Constitution does not require numerous procedural safeguards available in normal criminal proceedings. Section 1033 of the 2013 NDAA only appears to be a mere legislative codification of these limited Hamdi and Boumediene indefinite detention procedures. Importantly, the President’s 2012 NDAA authority to dispose of persons captured in the USA — including U.S. citizens – through military tribunal and extraordinary rendition are not curtailed. Unfortunately, the Feinstein Amendment to the 2013 NDAA may also do little to fix the multitude of problems with the 2012 NDAA, because it 1) may reaffirm the limited indefinite detention Due Process articulated in Hamdi and Boumediene, 2) does not restrict military tribunals with numerous Due Process infirmities for persons within the USA, 3) and it does nothing to limit extrodinary rendition. The initial question is; how does the Feinstein’s amendment actually affect the 2012 NDAA? Feinstein Amendment paragraph (b)(1) still purports to allow indefinite detention upon the express authorization of Congress, and (b)(3) says that the amendment should not be construed to authorize such detention. Yet, section 1021 of the 2012 NDAA, intended to clarify the 2001 Authorization to Use Military Force, specifically authorizes such indefinite detention. Moreover, section 1021 applies broadly to include all persons, including those within the United States (as advocated by the Obama Administration and numerous members of Congress). Thus, section 1021 may still be interpreted as a specific enough authorization under the Feinstein Amendment for indefinite detention of persons within the USA; making the Feinstein Amendment worthless. Now, let’s suppose the 2012 NDAA does not specify persons within the USA sufficiently to meet the Feinstein Amendment’s specific authorization requirement for indefinite detention; IT LIKELY CHANGES LITTLE. Here’s why. The Feinstein Amendment does not specify what “charge” or “trial” mean. While this may seem like semantics, it is a very important omission because the judicial forum and attendant Constitutional protections present are not specified. On one hand, the Feinstein Amendment could be interpreted as requiring the same limited Due Process articulated in Hamdi andBoumediene. Hamdi and Boumediene already require that those subject to indefinite detention are entitled to an opportunity to contest their enemy combatant status before a neutral decision maker, followed by civilian Article III Habeas review (with the extremely limited Due Process articulated above). By requiring charge and trial, the Feinstein Amendment may only legislatively codify the existing Hamdi andBoumediene limited Due Process rights those indefinitely detained under the 2012 NDAA are already entitled to. While this interpretation seems a stretch, we must remember that the Obama Administration has gone so far to declare that the President’s contemplation was sufficient Due Process prior to the drone assassination of U.S. citizens Al Allawaki and son. On the other hand, it is more likely that the Feinstein Amendment’s “charge and trial” require more than the Hamdi and Boumedieneprocedures to contest indefinite detention as an enemy combatant (which procedures are not the product of formal charges or trials). We must remember that in addition to indefinite detention without trial or charge, section 1021 of the 2012 NDAA purports to authorize military tribunals. Military tribunals are initiated through formal charges and are deemed trials. Although the 2013 NDAA seeks to preserve Habeasrights and Constitutional protections when in an Article III Court, neither the 2013 NDAA or the Feinstein Amendment require that the actual charge and trial occur in an Article III civilian court (where all the Constitutional protections of normal criminal proceedings are present). The military tribunals authorized in the 2012 NDAA are simply not restricted. Thus, the “charge and trial” specified by the Feinstein Amendment likely refers to a military tribunal; the same tribunals ongoing in Guantanamo Bay. The Constitutional protections in military tribunals are still woefully inadequate for a civilian arrested within the USA. The right to confront accusers is limited because significant testimonial hearsay can be admissible, the jury is composed of military members instead of peers, an unanimous verdict is not necessary for conviction, Miranda warnings are not applicable and search warrants are not required for admission of evidence. Importantly, Article III, Section III’s requirement that treason be proved by the testimony of two witnesses to the same overt act may not be applicable. Finally, and perhaps most troubling, is that the 2012 NDAA also authorizes the transfer of alleged enemy combatants to foreign jurisdictions and entities; that’s extraordinary rendition. The 2013 NDAA and the Feinstein Amendment do nothing to curb this horrific practice. The Constitution, laws and courts are completely irrelevant once someone has been transferred outside the jurisdiction of the USA. In this context, an accused’s Constitutional rights (and any rights purportedly preserved under in the 2013 NDAA and Feinstein Amendment) are only enforceable when within the jurisdiction of the courts. Nothing has been done to limit the President’s purported authority in the 2012 NDAA to transfer someone outside of the United States to some foreign country, entity, or military base, where they have no ability to compel a hearing to determine enemy combatant status, seek to be charged or tried, or pursue Habeas relief. At most, the 2013 NDAA and the Feinstein Amendment require that persons within the USA designated as enemy combatants are at least entitled to military tribunals. Thus, the president retains the authority to prosecute according to the Laws of War. While military tribunals are a slight improvement over the Hamdi and Boumediene indefinite detention procedures, they still provide woefully insufficient civilian Constitutional protections. And nothing has been done about the President’s extraordinary rendition powers. Our Founders certainly did not intend for the president to have such domestic war powers – especially over citizens – without a Congressional declaration of War. Instead, Congress unconstitutionally purported to provide these war powers in the 2012 NDAA multi-hundred-page-appropriation-bill, and has done little to limit them with the ineffectual 2013 NDAA and its Feinstein Amendment.